Home ViewPoint Showcase Is the Apple MacBook worth it? With the launch of the new MacBook from Apple, there’s been a little more confusion among consumers thinking of getting a Mac. Apple launched the MacBook with portability in mind. Weighing in at just 2 pounds and being 13.1mm thick, it’s definitely an appealing form factor. Unlike the MacBook Air lineup, the MacBook packs a 12inch Retina Display having about 3 million pixels. In terms of expandability, the MacBook comes with 2 ports: a USB Type-C port and a 3,5mm Headphone jack. The MacBook is charged using the USB port. If you want to use a external display or connect another device such as USB you must purchase multi-port adapters made specifically based on your requirements. Apple sells multi-port adapters for the MacBook at about $80 which I personally think is a little too much for something that should be included as standard. One major advantage of using the USB type-C for charging is that you can also use backup batteries and other USB sources for charging the laptop which is pretty handy for frequent travelers. Apple introduced two new features for the MacBook: the new Butterfly style keyboard and Force touch trackpad (Also available on the MacBook Pro lineup). To make the MacBook as thin as possible, Apple had to use a new butterfly mechanism for the MacBook rather than the traditional scissor mechanism which makes the keys more stable but reduces key travel which may be a problem for some. On the upside, the keyboard is backlit. The trackpad is, on the other hand one of the best I’ve ever used. The new Force touch trackpad emulates clicks electronically rather than mechanically like the hinge (or diving board) mechanism which did not allow clicking from any part of the trackpad (such as the top part). But with the new trackpad, you can click anywhere on the trackpad to get the same click and feel. What’s more wonderful is the clicking sensation you get from the Taptic engine which makes you feel like the trackpad is really moving. For those of you more curious, yes the trackpad does goes down a little bit just so it can sense the pressure more accurately. Then there is force touch feature which allows you to access extra features by simply holding down the trackpad with more pressure than usual. For example, you can adjust the speed of forward or rewind in Quicktime based on the pressure you place on the trackpad, lookup definitions, preview a link in Safari and so on. These work only on native Apple apps for now but hopefully on 3rd party software soon. Although not something I used frequently, it definitely was useful and for those who may not want, it can be disabled through trackpad settings in system preferences. In terms of performance, there’s not too much to expect especially considering the form factor. It packs the Intel Core M processors with 1.1 GHz and 1.2 GHz variations an the Intel HD 5300 graphics. This makes it more efficient towards battery life which stands at about 9 hours on average wireless browsing. Apple had to fill most of the MacBook with batteries specially designed to fit the contours of the MacBook. The MacBook also has a 480p FaceTime camera which is just sad and probably the least innovative element. I mean a 480p camera in a notebook in 2015? Uh… But either way, it does work but not well in terms of quality or low light conditions. 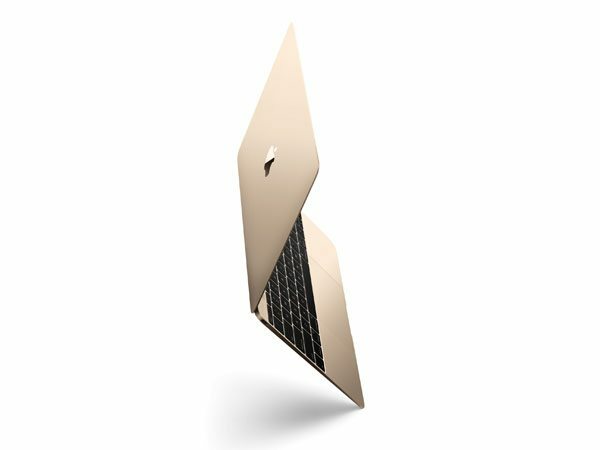 The MacBook comes in 2 storage versions with 256GB flash storage as standard and 512GB available as an upgrade. Both versions come with non-upgradeable 8GB ram. It comes in 3 color variations: Gold, Silver and Space Grey but for those wondering, no the Apple logo does not light up. Prices for the standard version begins at $1299 and $1599 for the upgraded version. Who is Apple‘s MacBook for? Apple probably aimed this product at bloggers, students and frequent travelers all of whom would like something light and portable to get the job done. As a side note, For those looking to use heavy programs like Final Cut Pro X and Photoshop, it is possible to do so but don’t expect it to be a performer by any means.